This entry was posted in Humor New York City on March 19, 2014 by Karin. 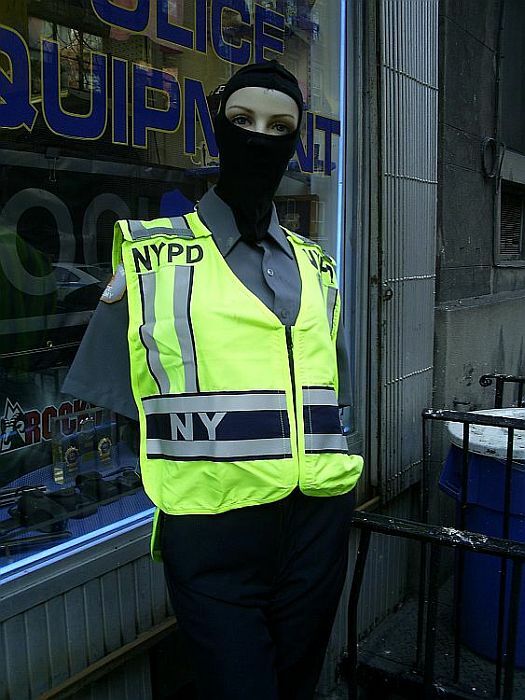 Many moons ago, when this was still a photo blog, I posted a photo of the rather unsettling armless police woman mannequin that stood guard outside a police equipment supply shop here in Manhattan. 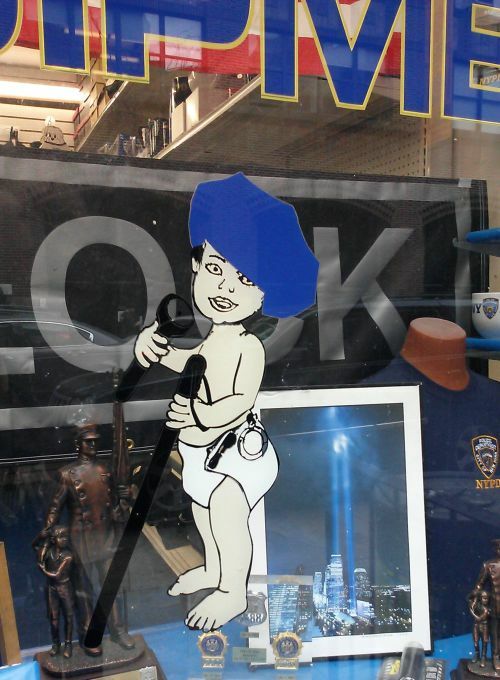 I’m here to report that she has since been replaced with…Police Baby! Run for your lives, criminals! Run. For. Your. Lives!